NEW DELHI, India, August 9, 2012 (ENS) – This was a difficult day for the proponents of genetically modified crops in India. In Parliament, the Agriculture Committee tabled a report seeking a ban on genetically modified food crops and a halt to all field trials. And the state of Maharashtra cancelled Mahyco Monsanto Biotech’s license to sell its genetically modified Bt cotton seeds. Mahyco Monsanto Biotech is a 50:50 joint venture between Mahyco and Monsanto Holdings Pvt. Ltd. The company has sub-licensed the Bollgard II and Bollgard technologies to 28 Indian seed companies, each of which has introduced the Bollgard technology into their own germplasm. But now, all trade activities of Mahyco Monsanto Biotech are illegal in Maharashtra. If there is any violation of the government’s orders, there will be criminal action taken against Myhyco Monsanto, the Director of Inputs and Quality Control Dr. Sudam Adsule said in Pune today, as he announced the license cancellation. 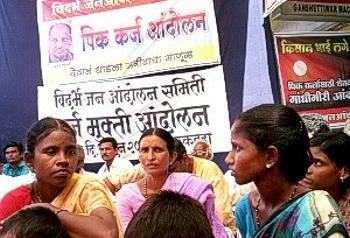 “We welcome the decision,” said Kishore Tiwari, who heads the farmers’ advocacy group Vidarbha Jan Andolan Samiti. “We demand all other 28 companies sub-licensed by MMB should be banned and replaced by traditional Indian cotton seed, as the cost of seeds of straight varieties is much lower than Bt varieties, Tiwari said. “Bt cotton seed has played a key role in the Vidarbha farm suicide saga since June 2005,” he said. The drought-prone Vidarbha region of Maharashtra state has recorded more than 8,200 farmers’ suicides in the past decade, 209 in 2001 alone. Trapped in a spiral of rising costs and in debt for costly genetically modified seeds that are supposed to repel cotton pests, as well as the pesticides they must buy when pests take over anyway, many farmers kill themselves by drinking pesticide or hanging themselves from trees. Across India, farmer suicide figures are much higher. According to the National Crime Records Bureau, between 1995 and 2010, more than 250,000 farmers took their own lives. Bollgard® II was developed by Monsanto by inserting two genes from the soil bacterium Bacillus thuringiensis (Bt) into cotton. These genes produce two proteins toxic to the main insect pest of cotton, the cotton bollworm, Helicoverpa, so that when the Helicoverpa caterpillars eat Bollgard® II cotton they die. About 90 percent of India’s cotton-growers have adopted Bt cotton, paying high prices for the seed in the hope that they could save money on pesticides. But the cotton bollworm has been developing resistance to Bt cotton. At first it appeared as if Bt cotton was going to be good for India’s small farmers. A study published in 2007 by Jonas Kathage and Matin Qaim from the University of Goettingen showed that growing Bt cotton caused a 24 percent increase in cotton yield per acre through reduced pest damage and a 50 percent gain in cotton profit among 533 small farmers in four cotton-producing Indian states. But in January 2012, for the first time, the Indian Agriculture Ministry linked farmer suicides to the declining performance of the Bt cotton. An internal advisory sent by the ministry to cotton-growing states said, “Cotton farmers are in a deep crisis since shifting to Bt cotton. The spate of farmer suicides in 2011-12 has been particularly severe among Bt cotton farmers,” the “Hindustan Times” reported. 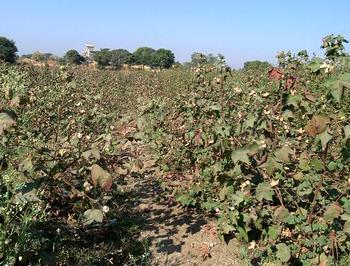 The declining performance of its Bt cotton is not Mahyco Monsanto Biotech’s only problem. The Maharashtra government is going to dig into the reasons behind the farmers’ suicides. On Tuesday, Maharashtra Agriculture Minister Radhakrishna Vikhe-Patil said the government has ordered a socio-economic study of Bt cotton by independent institutes. The survey will be carried out by the Tata Institute of Social Sciences and the Institute of Rural Management, Anand. A report is due to the state government in three months. Patil said the state also has directed Maharashtra universities to adopt villages in their regions to study how farmers’ lives have been affected by state policies on Bt crops.